Academics work in an interesting space. They often not only need to develop their ideas, but they also need to convey them in a variety of ways to others. Given that most of us have lectured in classrooms of varying sizes, this process of public presentation of the self is usually seen as part of the job. We have to become adept at speaking, at constructing "slides", at reading an audience. This can be a challenging experience when you are in environments where your own words are simultaneously translated by someone else. At times, these same moments of presentation that can be scary are exhilarating. You can see people take your ideas - and occasionally you can actually see "aha" moments by your audience members. I have been asked this year to present my ideas about persona and persona studies and I have been flattered by these requests. I have met some of the most interesting people and had some of the most fascinating conversations. What I wanted to pass on in this post is not only what these events entailed, but also the value of those experiences for myself and I hope others. I was invited to Perth to be a part of a workshop organised by Lucy Montgomery and John Hartley. We were all working towards seeing if a new Centre of Excellence could be formed. In the Australian context, this is a funded research centre by the Australian Research Council and by its name identifies the development of clear leadership in a given field or area. In some ways, this was not a public event. It was working towards a bid. The title of the Workshop intersected with John Hartley and Lucy Montgomery's work at Curtin University in Perth and crossed over strongly with that of Jason Potts, now at RMIT. What they called it at the time was: Publishing-Knowledge- Citizenship: The Creation, Distribution and Governance of Knowledge in Open Complex Systems, International Workshop, and an array of people from a variety of disciplines and geographically dispersed institutions came together to talk about how knowledge is formed and how this could be both studied and facilitated through a Centre of Excellence. 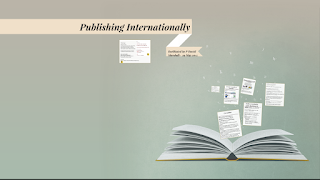 My own address was entitled: "The Personalization Complex: Reconceptualising Publishing”. It generated interesting discussions of how research worked, how knowledge clubs formed to produce journals and clusters of activities that generated new knowledge; and somewhere near the centre was the idea of "demes" as the small organising unit that described these activities of involvement, engagement and ultimately knowledge production and dissemination and sharing. We will see where this leads, but it remains intriguing to me and does dovetail into much of my recent work on public intellectuals that I will leave for another post. In April, I was invited by Johanna Fawkes to provide the opening address to a new movement of research at Charles Sturt University in Bathurst, New South Wales. A group of creative artists as well as academics emerging from the fields of public relations, communication and journalism were developing varied approaches to the study of the public presentation of Masks. Before the actual Symposium I led a research workshop on how a research culture could be developed using the example of how Persona Studies and PCP had developed at Deakin. 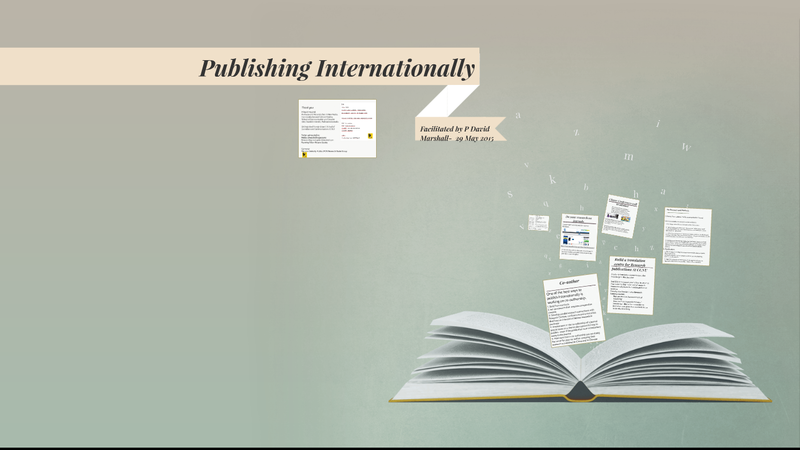 We worked via mind-mapping how their projects intersected with the themes of public presentation and persona as well as working out how a parallel research culture could be fostered at Charles Sturt University. The following day I presented my Prezi "Masks and Publics" Keynote presentation. The two days in Bathurst were engaging and led to some new directions for my work, but also allowed me to see the way that persona played across different disciplines and professions. In late 2014, I visited campus of Central China Normal University and gave a number of lectures. Following that visit, The School of Journalism and Communication sponsored me to be part of a national program in China to bring in leading international academics. I was honoured to find that their application on my behalf was successful. I am now the Distinguished Foreign Expert at CCNU. Throughout the month of May and for a further week in September, the School of Journalism and Communication hosted me as I worked to build the research culture there and presented a series of public lectures, workshops and talks. It was an amazing time in so many ways. 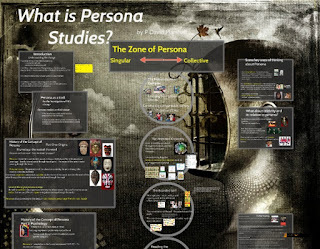 “What is Persona Studies?”, Public Lecture, School of Journalism and Communication, Central China Normal University, Public Lecture, School of Journalism and Communication, Wuhan China 25 May 2015. 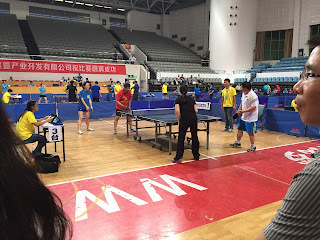 “Understanding Mediatization”, Public Lecture, School of Journalism and Communication, Central China Normal University, Wuhan China 19 May 2015. “Building a research culture", Public Lecture, School of Journalism and Communication, Central China Normal University, Wuhan China 26 May 2015. In June, I was invited by Barry King to give a Key-note address at the Public Self Symposium. The Symposium was held at the Auckland Art Gallery and was co-sponsored by the Auckland University of Technology. I had the pleasure of meeting a group of scholars and the other Key-note from the University of Otago, Hilary Radner, who gave a fascinating talk on Tilda Swinton and her "alternative" and "independent" identity. My own talk tried to develop something I was linking to the "attention complex" and called it the Personalization Complex. 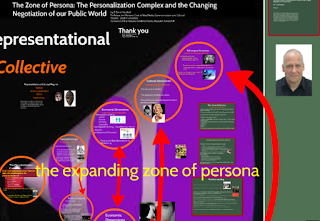 Defining a relative zone of persona was the ultimate work of the the presentation. I enjoyed my entire time in Auckland and even had a chance to catch up with Misha Kavka. And this post details up to the middle of the year. A great deal was developed in my work and research on persona studies through these various talks and presentations. Next post: Tokyo, Melbourne and back to Wuhan - CCNU, and then a final excursion to Cologne, Germany at the end of the year in December. I will try and get through some of my other activities as well in future posts. Quite impressive journey you've got going on there, looks like you're very determined to make a name for yourself! Keep up the good work, good luck for it! This article couldn’t be written any better! Going through this post reminds me of my previous roommate! This is what I am reading right now- and liking.